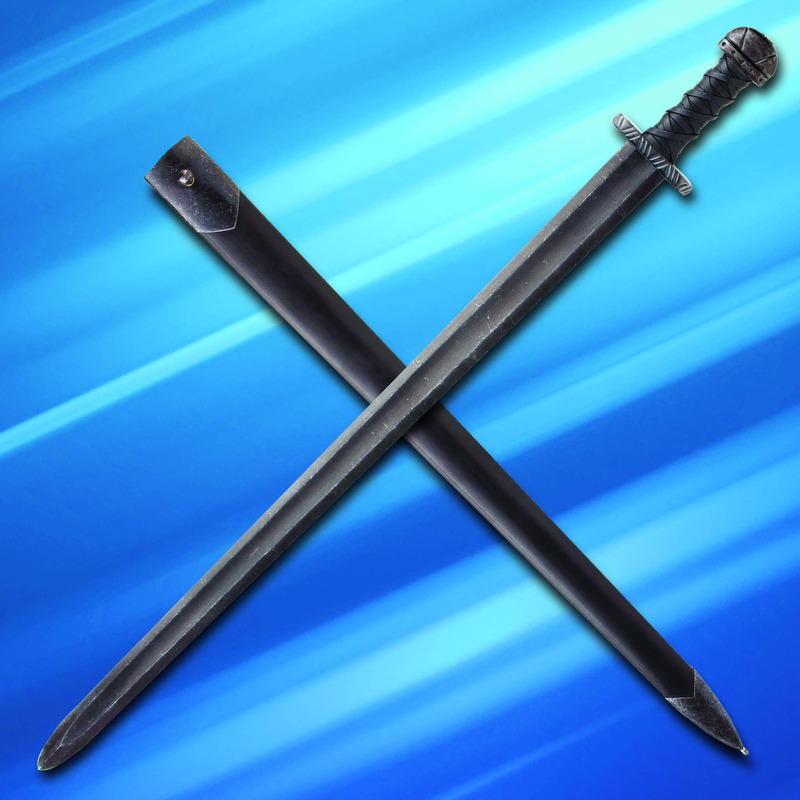 This formidable and near legendary fighting blade is light, agile and resilient. Feared and influential in Norse martial heritage. Ideal for fighting armed with a shield but also effective when matched with a sax or hand axe. 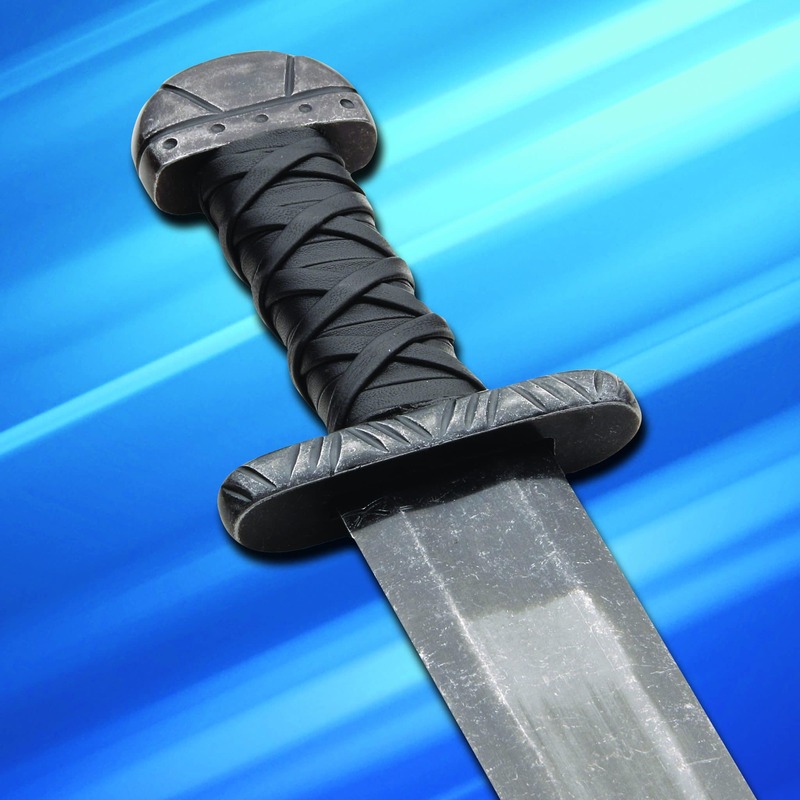 Semi rounded point able to deal with shields, mail and thick fur or leather armour. Able to bite into targets without snagging or catching with its well honed edge being neither too wide or narrow for effective blows. 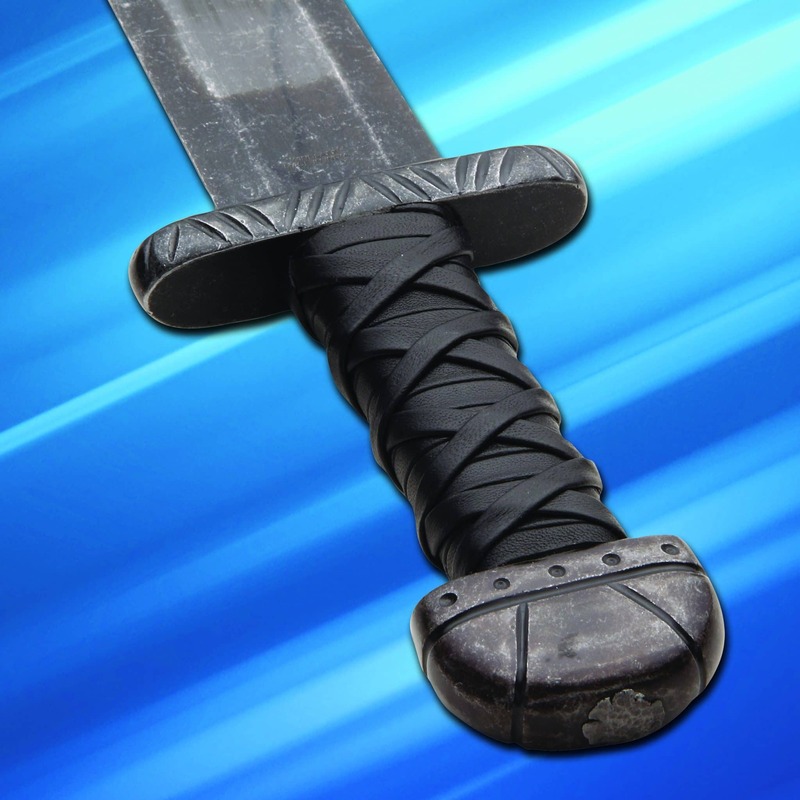 Snub hilt with distinct lobed pommel gives the wielder a snug grip giving a quick center of rotation for versatile action. 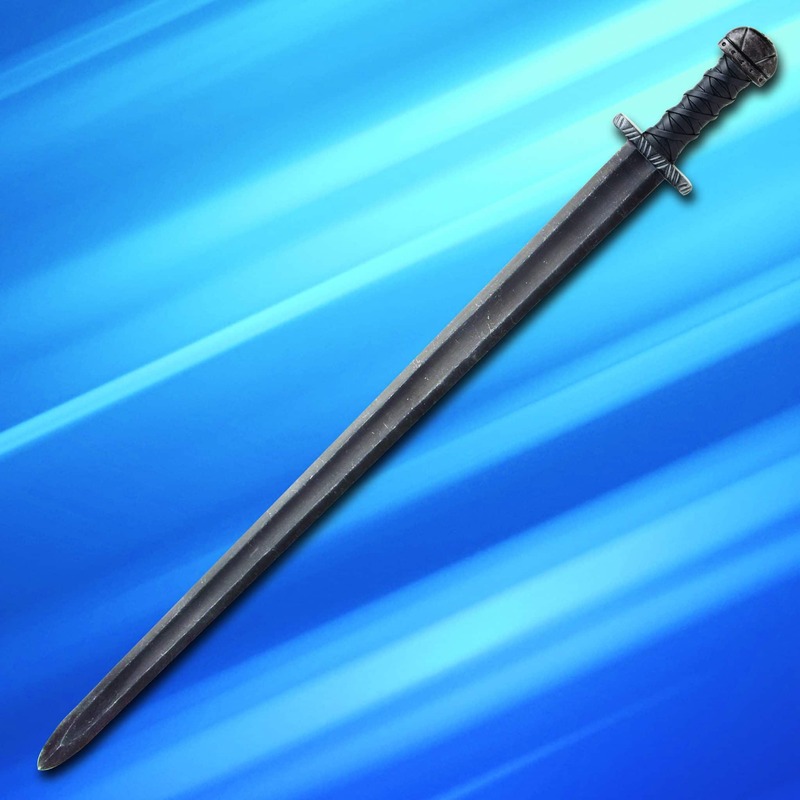 The 77.8cm x 4.8cm blade has a unique shadowed hue purposely darkened for a night-time skirmish. Includes a matching scabbard with belt stop. A sword well suited to any hand. Match this with a Maldon Sax.